Leupold & Stevens announced the introduction of their new VX-Freedom Rifle Scope series. These scopes are designed as entry-level scopes that won't break the bank. While these scopes are indeed affordable, they do not lack quality. The scopes are built with a focus on relentless reliability and word-class optical performance while keeping them at a price point that makes them a great choice for a hunter and shooter that is looking for solid performance at a budget friendly price. The new optics series does offer options to support rimfire, centerfire and muzzleloader firearms. They are additionally coming in a wide variety of different magnification choices that include 1.5-4x20mm, 2-7x33mm, 3x9-40mm, 3x9-50mm and 4-12x40mm. Depending on the magnification levels the FoV @ 100 yards ranges from 10 feet to 74.2 feet. The eye relief also depends on the specific scope and ranges from a low of 4.9 inches to a high of 3.7 inches. Lastly the Windage and Elevation are adjustable by 60 MOA for the higher magnification scopes up to 125 MOA for the lowest magnification scope. The adjustments can be performed in increments of ¼ MOA per click. All scopes of the series feature a 1 inch main tube. The reticles on all scopes are on the second focal plane. The line of scopes comes with a variety of different reticles which include Duplex, Pig-Plex, Rimfire MOA, Tri-MOA and UltimateSlam choices. The VX-Freedoms scope series offers excellent low-light performance due to their proprietary Leupold Twilight Light Management system. This system reduces the glare while increasing the overall contrast and optical performance specifically during the low-light conditions that you experience during the early morning or late afternoon/early evening. As one would expect from a scope that is designed for hunting situations, they all are waterproof and fogproof as well as shockproof. The outer lens surfaces are scratch resistant due to them being designed to meet military specifications. The scopes offer a low-profile power selector ring that provides exceptional grip and ease of use. The scopes come with the Leupold Full Lifetime Guarantee. 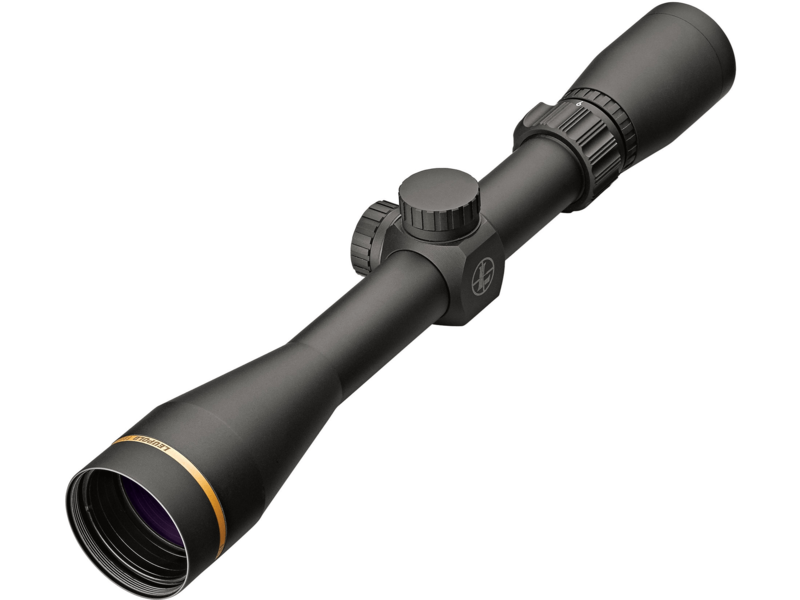 The MSRP for the scopes ranges from $234.00 to $389.99. Street prices are expected to be lower than that.